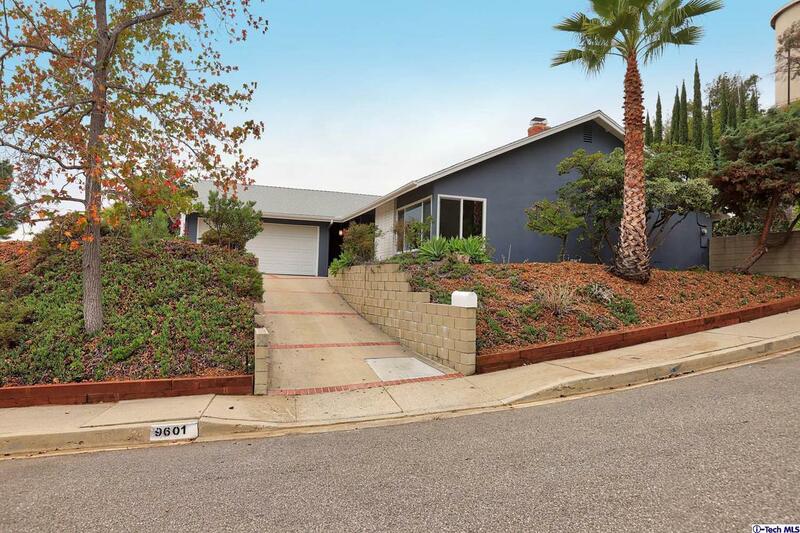 Extensively updated in 2018, this comfortable mid-century home is perched above the street with lovely views from the large windows in the living room. Wide plank engineered floors throughout add elegance to the well thought out floor plan. A two -sided fireplace warms both the living room and the large dining area. The adjacent kitchen features a large breakfast bar, striking black counters and white cabinetry, stainless steel appliances, and a marble backsplash. Bedrooms are spacious and the baths have been updated with quartz counters, tile floors and glass enclosed showers. The master has a large sliding door to the private and tranquil rear yard. Amenities include a new roof, updated electrical, fresh exterior and interior paint, central heat and air, copper plumbing, drought tolerant landscaping in front yard, 2 car attached garage, concrete drive with brick trim in a great neighborhood with easy access to transportation and shopping.